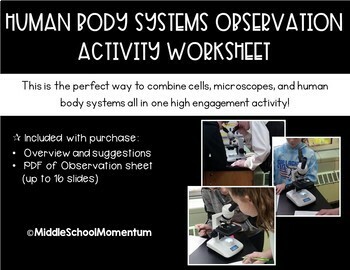 This is the perfect way to combine cells, microscopes, and human body systems all in one high engagement activity! Students will sketch out different slide images that they see using the microscope. This can be done during a cell unit, while teaching about the human body systems, or even as a knowledge bridge between the two units.